Based on a quick search of exemption requests to the Section 232 steel tariffs, the Department of Commerce received 9,935 requests as of press time. However, MetalMiner could not find any additional grain-oriented electrical steel (GOES) requests since last month, when Nachi American Incorporated filed four requests on grounds that the only domestic GOES producer can not produce in the widths required. Before Trump’s May 31 announcement that country-specific exemptions for Canada, Mexico and the E.U. would no longer be honored, AK Steel announced a new, high-permeability GOES product family, Trancor X, “for use in high and ultra-high voltage power transformers. High permeability GOES products represent the most technologically-advanced and highest-efficiency electrical steels in the world,” according to the company. Time will tell if this new product offering will make it more difficult for companies to challenge the Section 232 tariffs covering GOES. As of press time, AK had not published additional technical data on Trancor X.
U.S. 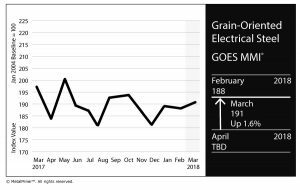 GOES M3 prices jumped 8% this past month while Japanese mills have begun their GOES negotiations for the second half of this year, with anticipated price increases of over $100, according to a recent TEX Report. The U.S. GOES coil jumped from $2,474/mt to $2,712/mt. The MMI increased 18 points from 179 to 197. 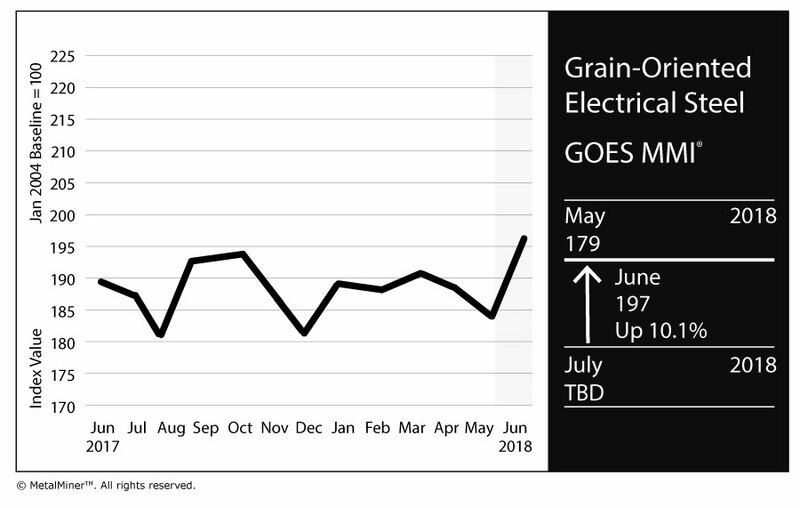 The GOES MMI® collects and weights 1 global grain-oriented electrical steel price point to provide a unique view into price trends over a 30-day period. For more information on the GOES MMI®, how it’s calculated or how your company can use the index, please drop us a note at: info (at) agmetalminer (dot) com. The MetalMiner GOES Monthly Metals Index (MMI) dropped nine points this month to 179. This price drop runs counter to the wider steel market in which prices continued to increase throughout April. The U.S. grain-oriented electrical steel (GOES) coil price fell again this month, dropping 4.7%. 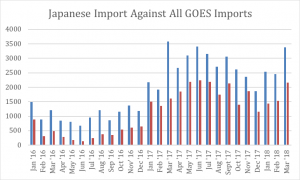 Not surprisingly, import levels dropped abruptly, going from over 3,000 tons in March to not even 1,000 tons in April. The Section 232 tariffs and 301 investigations have spooked importers. Last month, MetalMiner reported that no buying organization had yet to apply for an exemption to the Section 232 tariffs. That changed this month as Nachi American Incorporated filed five exclusion requests citing lack of U.S. availability. The M42 falls under the tool steel category. Nachi American Incorporated imports these five grades from its parent company, Nachi-Fujikoshi Corp. of Japan. All five of the exclusion requests appear to cover products made in the U.S. However, the only U.S. producer of the M2 grades can only produce widths up to 920mm., according to published data. What About the Section 301 Investigation? However, the 301 investigation does not include either transformer parts (8504.90.9546) or wound cores (8504.90.9542) both of which could come into the U.S. under current the prevailing market treatment. No additional information has been released with regard to this investigation since our last monthly GOES article. We don’t always get it right but indeed, GOES M3 prices fell last month in comparison to across-the-board price increases for all or nearly all other carbon flat rolled product categories. Meanwhile, although MetalMiner knows of one buying organization pursuing an exclusion request via the recently published exclusion process, no company has yet to file one (at least as of April 11). 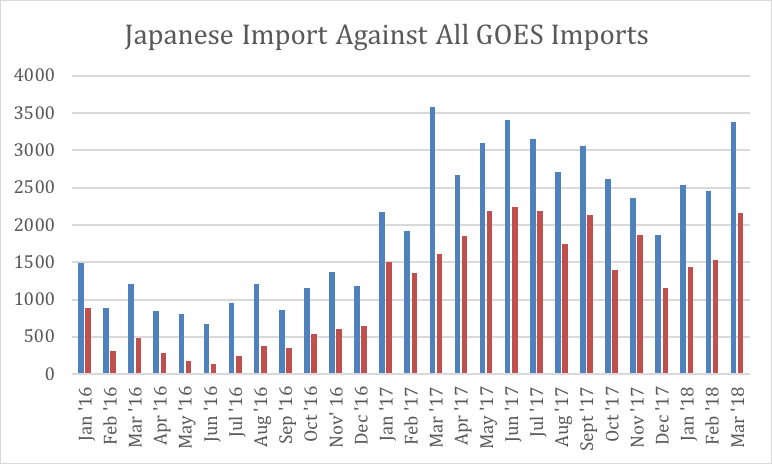 That will change as GOES imports continue to arrive. 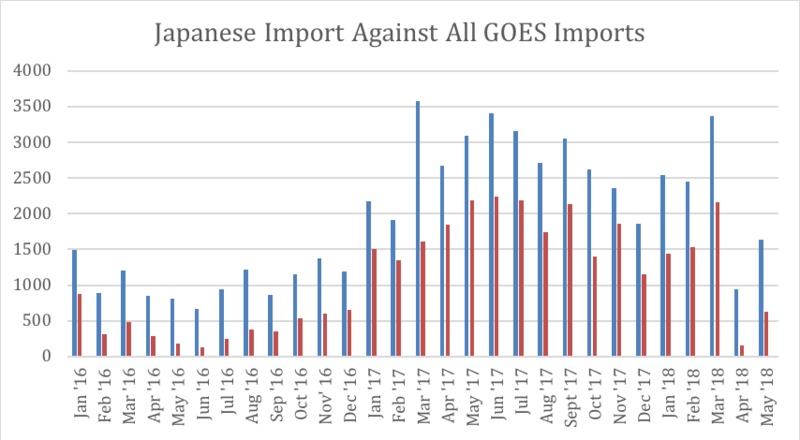 This month import levels jumped, as did Japanese imports, in particular. Of note, Chinese imports remain negligible (240 tons) and no imports came from South Korea. However, the 301 investigation does not include either transformer parts (8504.90.9546) or wound cores (8504.90.9542), both of which could come into the U.S. under current prevailing market treatment. MetalMiner will update readers when/if President Trump publishes a proclamation on the 301 investigation. 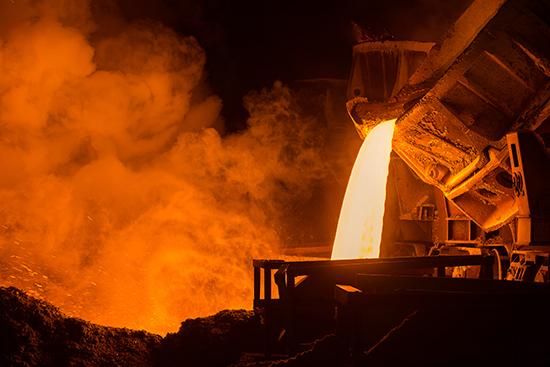 The Department of Commerce released both the process and requirements for the submission of exclusions for the steel and aluminum Section 232 proclamations made public on March 8, 2018. The interim final rule went into effect on March 19, 2018. Some of the key highlights of the interim rule include who can file for exemptions and who can file objections to exclusions. First, according to the interim rule, “only individuals or organizations using steel articles in business activities or supplying steel to users in the U.S. may submit exclusion requests with respect to the Proclamation.” In other words, any non-metal-buying individual or organization can not argue nor ask for an exclusion. However, any individual or organization in the U.S. can file objections to exclusions, but the Department of Commerce will only consider information directly related to a specific exclusion request. In other words, the DOC will ignore trade associations, lobbying groups, and media objections to an exclusion unless that objection is specifically tied to an exclusion request. Exclusions apply on a product basis and can only be requested (and granted to) by the individual or organization that submitted the specific exclusion request. To clarify, unless the DOC approves a broader application of the specific request, each company will have to file its own exclusion request. Taking that one step further, if additional companies seek exclusion requests for the same product, the company applying for the exclusion will not need to reference a previously approved exclusion, but can do so for its own exclusion request. Moreover, the interim rule allows for organizations and individuals to re-submit for a product exclusion, even if an earlier request is denied. Buying organizations should note that all information included in an exclusion request is subject to public disclosure. This may prove challenging to buying organizations as some of the questions on the exclusion form appear quite detailed. For example, “all such physical properties must be defined based on actual rather than nominal measurements references to specific dimensions,” a requirement which may in fact begin touching on “secret sauce” types of information. This portion of the rule will likely receive negative market feedback during the open comment period for the interim rule. Meanwhile, those that object to the exclusion will have 30 days to submit their objections. Country-specific exemptions are not included in this interim rule. Companies purchasing more commodity-grade materials (i.e., standard forms, grades, alloys, sizes, etc.) need not bother with the exclusion process. However, MetalMiner sees several sub-segments of the market that will likely challenge the proclamations, particularly the markets for: grain-oriented electrical steel; tinplate; raw materials (slab, wire rod); some advanced, high-strength steels and ultra-high-strength steels, tire cord quality wire rod, etc. These individual companies purchasing these materials will each need to put their case forward. “These requirements are much worse than trade case requirements,” said one company pursuing an exclusion to MetalMiner. The interim rule, comment and form to file a steel exclusion request or objection can be found here: https://www.regulations.gov/docket?D=BIS-2018-0006. The interim rule, comment and form to file an aluminum exclusion request or objection can be found here: https://www.regulations.gov/docket?D=BIS-2018-0002. 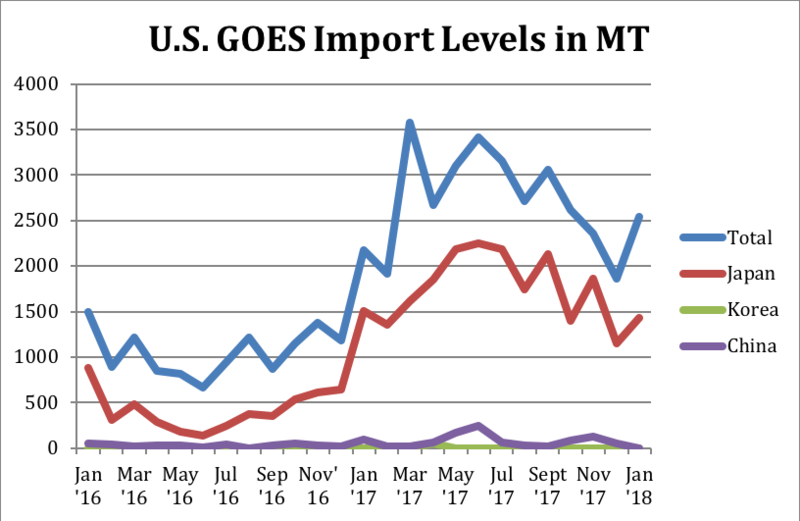 The impact of the president’s Section 232 proclamation applying a 25% import duty on all steel articles with HTS codes 7206.10 through 7216.50, will have a somewhat predictable impact on steel prices (they will increase, at least in the short term). The impact on grain-oriented electrical steel (GOES) buying organizations, MetalMiner believes, will not exactly mirror the broader impact of the tariffs on commonly purchased steel forms, alloys and grades. GOES markets serve as an example of where and how certain sub-segments of the steel industry will attempt to carve out exceptions and/or exemptions from the tariff proclamation — specifically, under point 11 of Trump’s proclamation. 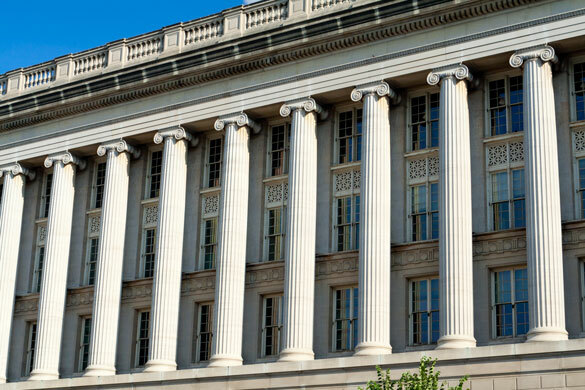 MetalMiner believes that Japanese producers, along with their importing partners and customers, will petition the Department of Commerce for an exception by proving that certain highly engineered grades of electrical steel are not in fact produced in the United States. The Secretary, in consultation with the Secretary of State, the Secretary of the Treasury, the Secretary of Defense, the United States Trade Representative (USTR), the Assistant to the President for National Security Affairs, the Assistant to the President for Economic Policy, and such other senior Executive Branch officials as the Secretary deems appropriate, is hereby authorized to provide relief from the additional duties set forth in clause 2 of this proclamation for any steel article determined not to be produced in the United States in a sufficient and reasonably available amount or of a satisfactory quality and is also authorized to provide such relief based upon specific national security considerations. Such relief shall be provided for a steel article only after a request for exclusion is made by a directly affected party located in the United States. 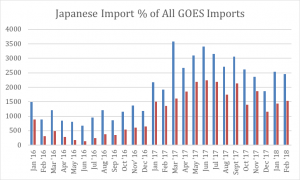 Clearly, the impact of imports on the domestic GOES market has come on the back of rising and significant Japanese imports. China and South Korea are non-players for GOES into the U.S. 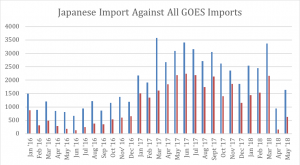 The real question involves whether or not customers of Japanese products will be able to prove that the materials they are buying from Japan, are indeed not produced in the U.S. The president has mandated that the secretary of commerce issue procedures for requests for tariff exclusions within 10 days of the proclamation date (which was March 8). 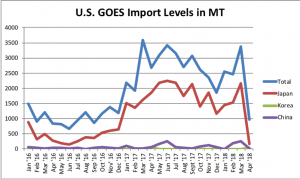 As Steel Tariffs Loom, Government Trade Study Ignored by Mainstream Press? The Section 232 report and subsequent briefing by the president has put global metal markets in disarray. What makes matters potentially worse: the number of mainstream media sources latching onto a couple of claims from one particular study recently published by a for-profit research and consulting firm (as opposed to a think tank or governmental source). The findings from this oft-quoted study build upon a prior study (February 2003) conducted by the same authors on behalf of a now defunct trade group, whose original findings were challenged by the U.S. government’s own analysis published by the USITC back in 2003. Section 232 buying strategies – grab your copy of MetalMiner’s Section 232 Investigation Impact Report for only $74.99! Regardless, the 2003 USITC governmental study examines the assumptions and methodologies of the original study conducted by Baughman and her colleague Dr. Joseph Francois. The oft-cited finding from their latest report suggests the tariffs will yield a loss of 146,000 jobs. That estimation has been cited in articles by Fortune Magazine, The Washington Post, The Fabricator, AOL as well as other policy and non-profit organizations. The problem with all of these citations is that nobody has quoted any findings from the only governmental research published on the impact on steel-consuming industries after the imposition of steel safeguard protections. Yet such a study not only exists, but also reveals the actual impact after the last time a U.S. president implemented steel safeguard protections, such as tariffs. This last occurred on March 20, 2002, under President George W. Bush. So What Are the Key Government Findings? What About the Impact on U.S. Production? First, the recommendations from the Department of Commerce apply to both primary (or upstream) and downstream production. The upstream production refers to unwrought production, while downstream production consists of processing aluminum into semi-finished aluminum goods (such as rods, bar, sheets, plates, castings, forging and extrusions). The U.S. remains remains the second-largest aluminum producer, just behind China. Section 232 buying strategies – download MetalMiner’s Section 232 Investigation Impact Report today! The main objective of the actions proposed by the Department of Commerce focused on downstream production. As previously stated, the Section 232 outcome seeks to restore the industry to 80% capacity utilization. Therefore, aluminum production could increase (at least, domestically). Increasing the domestic capacity utilization rate up to 80% would mean more aluminum will be produced and consumed domestically. President Trump has yet to determine if all the report recommendations will be applied. MetalMiner believes that even if the quotas/tariffs implemented are lower than that indicated in the Section 232 aluminum report — meaning a lower tariff and, therefore, a reduced capacity utilization rate — aluminum products may not receive as many exemptions as steel products. Contrary to steel, most aluminum products can be produced domestically and therefore, aluminum would potentially require fewer carve-outs than steel. Timing becomes an issue when considering the impact of the Section 232 aluminum investigation outcome. For the aluminum industry, restarting idled capacity takes around 9 months. After that, each smelter needs to start running toward its optimal capacity, which also takes time. Realistically it may take 12-15 months of time to reach optimal production. Trump will need to consider that timing in his decision. 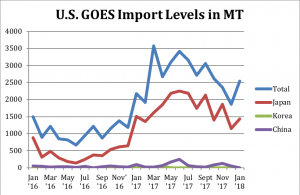 Without careful consideration, reducing aluminum imports could have a negative impact for U.S. aluminum buyers in the short term. Therefore, the president might need to take this into account and give some time for the industry to adapt to the new measures. Trade Wars: Hype or Reality? We will address this issue in an upcoming post. Upstream, or primary or unwrought production. Downstream, which consists of processing aluminum into semi-finished aluminum goods (such as rods, bar, sheets, plates, castings, forging and extrusions). The U.S. is the second-largest aluminum producer, just behind China. Secondary production, or production based on recycled scrap. The U.S. is the world’s leading producer of secondary unwrought aluminum. Therefore, secondary production is not the focus of the Section 232 report. Aluminum is essential to U.S. national security. In 2016, the U.S. imported more than 90% of the primary aluminum consumed. Therefore, total reliance of imports cannot provide an assured supply of aluminum. Imports and global aluminum production overcapacity caused by foreign government subsidies (such as China) have had a negative impact on welfare and production capacity of the U.S. Examples of this negative impact include: declining employment, poor financial status of the U.S. aluminum industry and reduction of R&D expenditures. Domestic aluminum production capacity continues to decline. According to 2016 data, the U.S. produced 840,000 metric tons, becoming the sixth-largest aluminum producer in the world while ranking as the fourth-largest consumer. Aluminum is a highly energy-intensive industry (based primarily on gasoline prices). Therefore, competitive advantage goes to those who can produce in countries with lower energy costs (such as the U.S.). China, however, according to 2016 data, appears much less competitive than the U.S. based on energy costs. The cost of electricity in China was $614/mt versus $532/mt in the U.S. per metric ton. See our analysis here of the cost to produce one ton of aluminum. Regarding the capacity utilization rate, in 2016 the U.S. industry operated at a 48% capacity utilization rate. Meanwhile, in 2017, the only two aluminum (upstream) producers in the U.S., Alcoa and Century Aluminum, operated at a 43% capacity utilization rate as measured in November 2017. Domestic production remains well below demand. In 2016, global primary aluminum consumption was 59.7 million metric tons (an increase of 5.4% year over year). China had 53% of global consumption, the U.S. represented 9% and Germany 4%. Chinese consumption remains well below its production level, while U.S. production is substantially lower than consumption. U.S. imports of aluminum have increased while exports decreased. Imports increased by 34% in 2016 on a weight basis compared to 2013 levels. 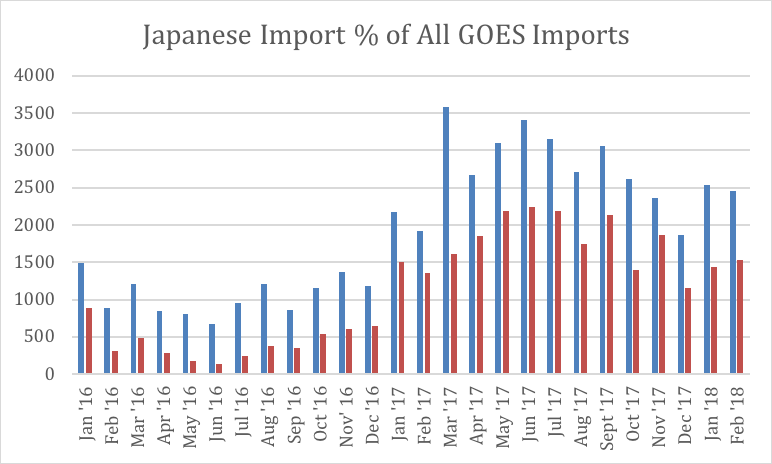 For the first 10 months of 2017, imports ran 18% above 2016 levels on a tonnage basis. Primary aluminum (unwrought) represents 63% of the total by value. The second-largest category (aluminum plates, sheets, and strips) accounts for an additional 19% of imports. Aluminum imports coming from other regions have also harmed the aluminum industry. Aluminum bars, rods and profiles coming from Vietnam have increased by over 800% between 2013 and 2016, with the trend continuing in 2017. A portion of the imports in this category from Vietnam are likely circumvented Chinese products trans-shipped to avoid duties. Meanwhile, U.S. aluminum exports decreased over the 2013-2016 period. Also, for the first 10 months of 2017, U.S. exports showed a slight decrease in numbers, falling by 8%. U.S. exports go mainly to North American Free Trade Agreement (NAFTA) partners and neighboring countries. Neither the long- or the mid-term picture for aluminum prices will likely see much of an impact from the Section 232 investigation and report, as the market had already anticipated the results. Prices in the short term, however, might, find some support. 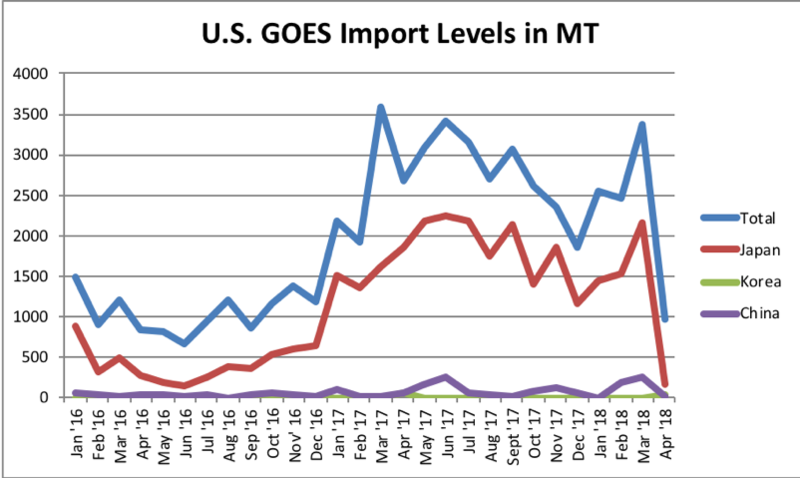 Even without a Section 232 outcome for aluminum, aluminum prices remain bullish and the long-term trend may continue. Meanwhile, President Trump has yet to determine the extent of these measures. The U.S. aluminum industry will not add additional aluminum production capability until idled capacity is restarted, which takes around 9 months. Therefore, LME aluminum prices may suffer some short-term price fluctuation, but will then trade again according to the current market trend, which is bullish, until markets receive more clarification. 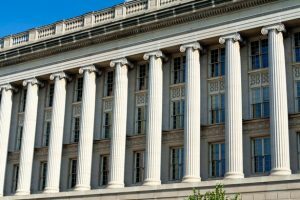 Last week, the Department of Commerce released the reports accompanying the Section 232 investigations for both aluminum and steel products. The Department of Commerce initiated the investigations last April under Section 232 of the Trade Expansion Act of 1962, which grants the president the ability, along with his Department of Commerce, to determine whether certain imports are having an injurious effect on national security. As reported last Friday on MetalMiner, the Department of Commerce proposed two alternative solutions for the alleged harm caused by a glut of aluminum imports. Both solutions seek to restore domestic aluminum production to 80% of capacity utilization. This data may not surprise readers, as the Section 232 steel investigation recommendations include three steel policy alternatives constructed on the same premise. What MetalMiner found most striking about both report recommendations involves the goal of restoring both the aluminum and steel — stainless steel, too — industries to 80% capacity utilization rates. The aluminum analysis looks similar. The aluminum report pointed to several factors as driving the need for the 80% capacity utilization rate. The DOC examined employment numbers, the dangers of overcapacity, declining R&D and fewer capital expenditures. Of these arguments, some will seek to argue that employment is somewhat less important, as gains in efficiency and productivity could lead to a decline in employment. But clearly the overcapacity issue in general has forced all but Alcoa and Century Aluminum to declare bankruptcy. By poorer profitability, the industry will not effectively invest in R&D — because it can’t afford to — which will impact future military applications and capabilities. Therefore, as with the steel industry, the 80% capacity utilization rate reflects a “healthy” aluminum industry with regard to profitability, efficiency and innovation. When steel and aluminum industries do NOT operate at 80% capacity utilization, the economic viability of the industry to produce materials in various war-time scenarios becomes tenuous. MetalMiner will cover this point more explicitly in our Section 232 steel analysis. Certainly, when mills do not operate at healthier 80% utilization levels, the means to innovate and develop new products, improve production capacity and further increase efficiencies becomes more challenging. The Department of Commerce included almost all downstream aluminum products in its recommendations. However, the scope of the investigation does not include bauxite or alumina, or feedstock for the production of primary (unwrought) aluminum. The investigation also does not include aluminum waste, aluminum scrap, aluminum powders and flakes. The GOES MMI (Monthly Metals Index), which tracks, grain-oriented electrical steels, fell one point to 188 as other flat-rolled steel products saw a price increase. Unlike other steel products, such as tubular goods, cold-rolled steel, hot-dipped galvanized steel, solar panels and washing machines, MetalMiner is not aware of a single circumvention case for grain-oriented electrical steels. Meanwhile, Bank of American Merrill Lynch analyst Timna Tanners double downgraded AK Steel on weak first quarter guidance and “lack of catalysts” to improve margins. ThyssenKrupp and Tata Steel have finally announced a joint-venture in Europe with the goal of becoming “a leading European flat steel provider and position it as a quality and technology leader,” according to a ThyssenKrupp press release. Both ThyssenKrupp and Tata have GOES production capability.